It was disturbing the way Brady Hoke answered the questions following Michigan's loss to Minnesota Saturday. Also, Shane Morris should have been pulled from the game earlier because of a leg injury, even if he didn't have a concussion. He certainly should not have been allowed to go back in. So I am with most people on this. There is no defending the indefensible. 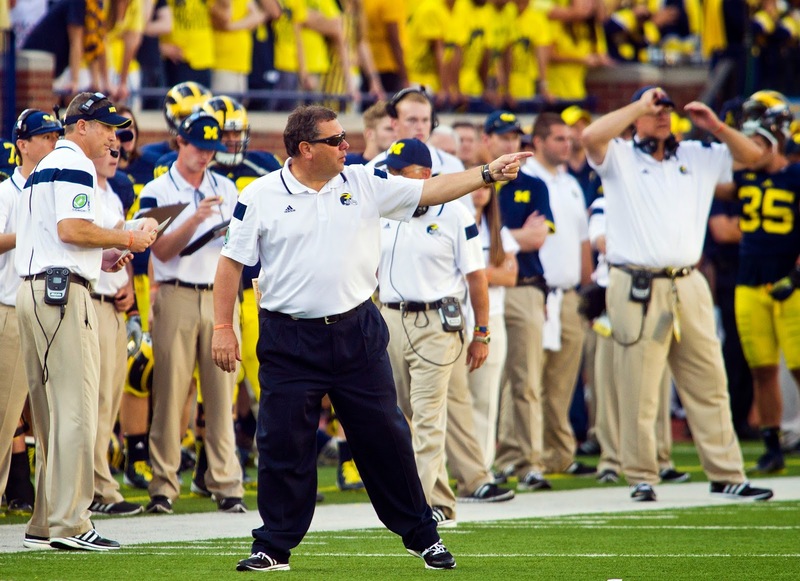 It was a bad moment for Brady Hoke and Michigan's football program. What I do think is disingenuous is this clamoring for Hoke to be fired simply because of the Shane Morris incident. If it is proven he had a concussion, that would be a different story. But as is, many of the same people (not all) lambasting Hoke today because of the incident would be defending Hoke if Michigan were 5-0 instead of 2-3. They would not be praising ESPN commentator Ed Cunningham, who did an excellent job with his analysis of the incident, but they would be angry with him. This is just the latest incident suggesting Hoke is lacking control of his program, and overall, Michigan's athletic department is missing badly with its various football-related concepts. It's another part of a growing cluster that strongly suggests Hoke will no longer be Michigan's football coach at some point during or after this season, and that perhaps athletic director Dave Brandon is on thin ice. But the reality is, most of the anger is football-record related. It's simply because the Wolverines are terrible on the field, and there is little hope remaining they pull out of the tailspin anytime soon.